When you think about Arizona, the first thing that comes to mind is probably long stretches of dry, empty desert land and massive canyons, earning it the nickname of the Grand Canyon State. But, Arizona is much more than just desert and canyons; it is the 6th largest U.S. state and has a rich history, with Indian tribes having been present for centuries before the first European settlers came around in 1539. While Arizona has only been a state for a little over a century—becoming the 48th state in the Union on February 14, 1912—it has interested people for a long time. So, it makes sense that people are always traveling to and from here. This means that people are always looking away to transport their various belongings, including their car, to certain areas of Arizona, or away from them. Arizona is a big state and is home to many different municipalities, but two are more well-known than all the rest: the capital city of Phoenix and the other major city of Tucson, Arizona. Both cities have many things to offer people, from great cultural experiences to simply being in easy reach of stunning natural wonders. These cities also offer great educational opportunities, meaning they have a little bit of everything. Here is a closer look at both Phoenix and Tucson. Not only is Phoenix the capital of Arizona, but it is also the most populous city within the state. With over a million residents, it also holds the title of being the most populous capital city in the United States. Phoenix has countless fun attractions for residents and tourist alike, including Camelback Mountain, The Desert Botanical Garden, and Papago Park. It is also in easy reach of the famous Arizona sites: The Grand Canyon, Antelope Canyon, Monument Valley, and Sedona Rock. Beyond all the sites, Phoenix is also home to some great Arizona higher learning institutions, like Arizona State University West and Downtown Phoenix locations, Arizona Christian University, and College America – Phoenix. With so much to offer people, Phoenix is certainly a city made for everyone. Tucson is the second largest city in the state of Arizona and, like Phoenix, has so much to offer. Like the capital, Tucson is home to and located near a number of great attractions. The Saguaro National Park, Arizona-Sonora Desert Museum, and the Sabino Canyon Recreational Area are just a few of the beautiful outdoor attractions you can enjoy. If you would rather stay inside where it is cooler, there is also plenty of indoor attractions in Tucson like the Pims Air & Space Museum and the Tucson Museum of Art. Tucson is also home to the University of Arizona, Brookline College, four University of Phoenix locations, and North Arizona University to name just a few. Beyond all of this, Tucson is a great city to experience authentic and unique Mexican-style cuisine, due to the close proximity to the U.S.-Mexico border. There are countless reasons why a person may look to ship their car into or away from Arizona. 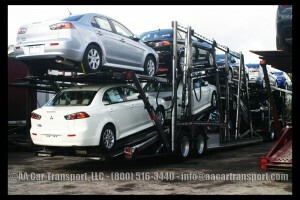 For one, if you are moving, shipping your car via a car transport company is a much more cost-effective option. If you were to drive your car to your new home, you would have to deal with countless expenses: gas, tolls, food, and possibly even hotels. This can add up incredibly quickly and by the end of the day, what you spent driving all that way can end up costing you even more than simply shipping the car. Students may consider shipping their car as well. Having a car of their own will give them more freedom to move around and explore their new home and get from place-to-place. Similarly, members of the military may consider shipping their car so that they can get to and from places with ease and without having to rely on public transportation. Of course, dealerships and auction houses tend to ship cars through car shipping companies. Dealerships take advantage of car shipping companies because they provide a quick and efficient way to transport multiple cars in a single go. Auction houses also tend to ship cars to the buyers because the car may be older or in non-working order, leaving the new owner with no choice but to rely on a shipping company. Overall, shipping cars is just a safer, more economical options that will help car owners ensure that their car arrives to the new location safely. Especially when it comes to classical or sports cars, which require more protection and should not be driven across vast distances where anything can happen. There are two main types of car shipping that car transport companies offer: closed shipping and open shipping. Both are great, reliable options that will ensure the safe transport of your vehicle. However, they are both geared towards specific kinds of cars. They both also come with insurance, giving an added sense of security. Open transport is the most common option that car transport companies offer. It is what most people and dealerships use when transporting regular SUVs, sedans, and other types of everyday cars. With open transport, your car is left open to the elements, meaning it is exposed to wind, rain, snow, and even possible debris that may come from driving by road construction work. This form of car transport is quicker and more affordable, but it does not sacrifice the quality of the job. Even though your car will be open to everything, the car transporter and company will ensure that it arrives to you safely. The other car shipping option that companies offer is enclosed car shipping. With this type of shipping method, the car will go into a closed-in container that will protect the vehicle from the elements and any potential road debris. Enclosed car shipping is usually what companies recommend for luxury and antique cars, as well as motorcycles. This is because these cars usually require more care. Otherwise they can become seriously damaged and stop working properly. Enclosed car shipping is usually more costly and takes longer, but the car will be more protected during transport. While you can get a general idea of what you can expect to pay for car transport from a company, prices can fluctuate a lot. This is largely because there are many different factors that tend to affect the cost of shipping. It is important to keep in mind that the price you pay for shipping includes everything and helps to pay for things like the driver’s food and gas, and possibly even hotel for the night. First and foremost, the distance the car will have to travel is one of the largest factors to keep in mind. The farther a car must travel, the more it will end up costing to transport it. On top of that, the price of gas can affect what you pay: the higher the price of gas is at the time of shipping, then the more you will likely pay to make up for that extra cost. The seasons and weather can also have a major effect on the price you pay. Heavy rain and snow do not just make driving more difficult for you—truck drivers will also have a much harder time, and it can raise the price of the transport job. But, seasons also mark peak and off-peak shipping times. Summer and spring tend to be peak car transport seasons, so you will find yourself paying more to ship a car around those times. Alternatively, during most of the colder months—except for January—things are slower, which means prices will be lower. There are so many other things that an effect the cost of a car transport job. If there has been a rise in trucker insurance, you may find yourself paying more as drivers cannot work without proper coverage. Additionally, the Department of Transportation has implemented new requirements for truckers, including specific technological systems they must use to track their travel. This also can create added costs, as these systems are not cheap and are mainly provided by outside companies. When it comes to moving cars to and from Arizona and cities like Tucson and Phoenix, there are a lot of things you can do. But, when it comes down to it, shipping your car is probably the most efficient and economical decision you can find. By going with a reliable car transport company, you will have the peace of mind knowing that your car is in trustworthy hands, and that it will arrive to its final destination safely, and within a specified time frame. Regardless of where the car is going, you will not have to wait to get back to driving very long; the company will make sure to get it to you so you can get back to your life. Call us to get more details and pricing for your next car shipping to AZ at 1-800-516-3440 or submit a request here.